After graduating in 1996 with a Kinesiology Degree and finishing as UVIC’s 3rd all-time leading scorer, Greg embarked on a professional basketball career which spanned for 10 years playing for teams in New Zealand, France, England, and Spain. Greg was also a member of the Canadian Men’s National Basketball Team from 1999-2002 and he represented his country at the 2002 World Championships. 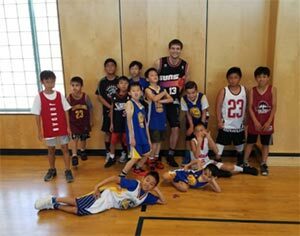 When Greg hung up his basketball shoes in 2005, he attended UBC and earned his Bachelor of Education Degree and began his teaching career. 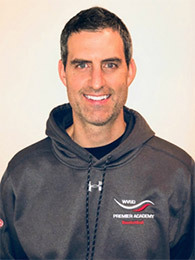 Greg is a certified “Train to Compete” coach through Canada Basketball and he has been a Head Coach at the Premier Basketball Academy for 4 years. Additionally, Greg has coached at West Van Secondary for the past 8 years, highlighted by leading the 2014 WVSS Junior Boys to a Provincial Championship, the first in the school’s history. I believe in the power of sport and I have built my career around this foundation. Sport provides the opportunity to test personal limits, gain insight into human nature and hone life skills. Socially, sport has the power to bring people together, create community and most importantly make people happy. I utilize a wealth of diverse experience, both professional and athletic, to harness the power of sport through basketball training, youth sport programs, partnerships and events and management services to create meaningful and positive experiences. Programming partnership with Squamish Nation. Kaitlyn has been coaching for over 10 years and is the founder and owner of New Heights Basketball Academy. Kaitlyn has always been a coach. She was a natural point guard and was always an extension of her coach on the floor at every level. Kaitlyn received a full ride Division 1 basketball scholarship to the University of Nebraska-Lincoln. 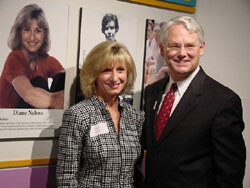 Her career is highlighted by leading the Huskers to 2008, 2009 and 2012 NCAA tournament. Kaitlyn ranks second on Nebraska’s career games played and ninth on Nebraska’s career three-point list. Kaitlyn had the honour of playing for Team BC and Team Canada on several occasions. She was a member of various B.C. Provincial Teams from 2003-06 and was a member of the inaugural National Elite Development Academy run by Canada Basketball. In each of those years, Kaitlyn was elected as team captain and was awarded the MVP of the Under-17 National Championships in 2006. Kaitlyn played for team Canada starting in 2005 on the Cadet National Team. In 2006 and 2007 Kaitlyn represented Canada at the Jr. National team level where she helped the team qualify for the World Championships. The following year Kaitlyn played with team Canada on the Development National Team. 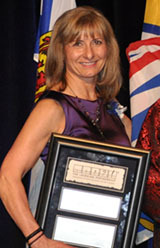 Kaitlyn attended Argyle Secondary in North Vancouver where she led the Pipers to North Shore Titles in 2002, 2003 and 2004. Kaitlyn brings her knowledge, skills and energy to every team, group and individual training session she is a part of. Helping develop young women, growing the women’s game of basketball in Canada and serving as a role model to youth has been something Kaitlyn prides herself in. Coach Blake is one of the commissioners of the RBL Basketball program. Blake grew up playing RBL as his dad Richard helped start the league in 1997. He played on RBL provincial teams and represented RBL at the U-15 BC club championships as a teammate of former NBA player Robert Sacre. Blake played his high school basketball at Sir Winston Churchill high school in Vancouver. 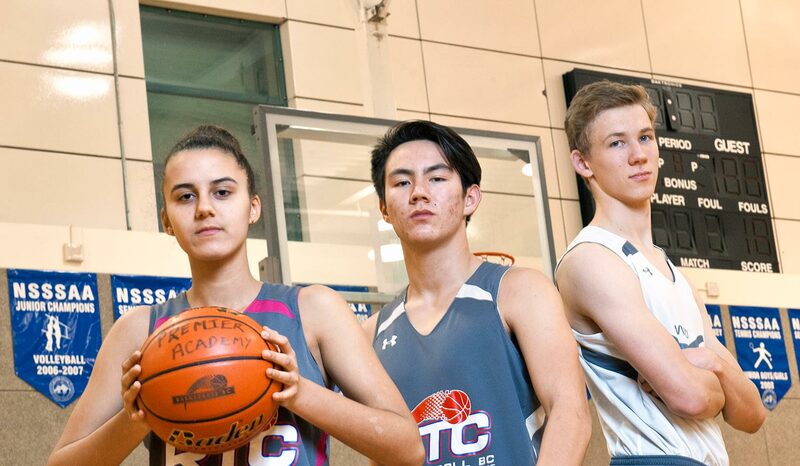 He helped them qualify for the senior boy’s provincials and he was named Lower Mainland MVP that year after averaging 38.5ppg in the lower mainland tournament. He graduated in 2006. 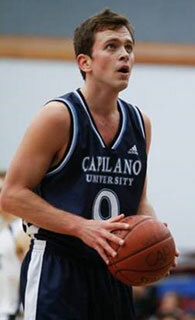 Following his graduation Blake played collegiately for Capilano College at the CCAA level for one year before making the jump to the CIS level and playing for St. Francis Xavier University. Coach Blake has also represented Canada internationally on the Canadian Maccabiah team. He played as a junior (u-19) in 2005 and on the open men’s team in 2013.